The Prime Minister tells us in her foreword to the long-awaited Social Housing Green Paper (published this week) that “major reform of social housing is needed”. The Green Paper sets out the Government’s proposals for reforming the sector and launches a consultation process. Its emphasis on the importance of social housing will be welcomed by the sector, but there are more questions than answers at this stage. We take a look at our top five questions below. 1. How and when will the Regulatory Framework be updated? The Green Paper seeks a full review of the regulatory framework. In particular, it focuses on the Regulator’s enforcement of the consumer standards, which is currently limited to instances of “serious detriment” to tenants. The Government is seeking consultation on lowering this threshold, and expanding the Regulator’s powers to enforce these consumer standards to more closely reflect its powers to enforce the economic standards. 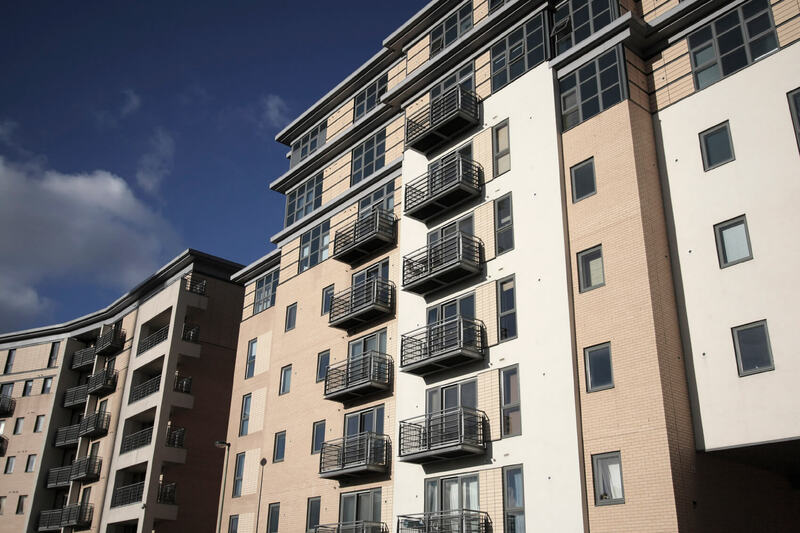 A number of changes are also suggested to address “an imbalance in the relationship between residents and landlords”, and give residents greater control over the services provided to them. More generally, the Government asks whether the current approach of “co-regulation” is the right one for social housing. Changes are also suggested to enable the Regulator to take a “more rigorous and proactive approach to enforcement”. Clearly, it is not a case of whether the Regulatory Framework will be updated, but how and when. Our question is how it will be ensured that such changes are ones that will work in practice, going forwards – for the regulator, the regulated, the funders and the residents themselves. The balance will be tricky. For example, the Green Paper admits the challenge in giving residents greater choice and control over day-to-day services, whilst recognising the need for registered providers of social housing (RPs) to retain control of quality, safety and value for money. 2. League tables: how will “key performance indicators” be measured and enforced? The Green Paper proposes Ofsted style regulation of tenant services, and suggests introducing “key performance indicators” (KPIs) for RPs, including on repairs, building safety, complaints handling, engagement with residents and neighbourhood management. It is suggested that RPs should submit evidence of compliance with such KPIs to the Regulator on an annual basis, with the results made publicly available in league tables. Principally introduced as a way of enabling residents to assess their landlord’s performance, the paper also suggests ways the Regulator might use the league tables – including linking them to RPs’ governance ratings, and using them to assess whether intervention is required for repeated failings. It is suggested that league table rankings may also affect RPs’ success in bids for affordable housing grants and strategic partnerships. Clearly, greater transparency and increased powers for the Regulator to apprehend bad landlords is welcome. However the practical application of this proposal raises a lot of questions: most significantly, how will such KPIs be measured and standardised? Whilst most RPs already produce information on the measurements proposed, a standardised approach would be crucial for any comparative league table to be meaningful and fair, particularly given the possible consequences of having a lower-than-expected league table position, such as regulatory downgrade and/or bid failure. Equally, the practical outcome for residents of access to such information will need to be clarified, as will the extent to which league table results would become important for funders to the sector. 3. 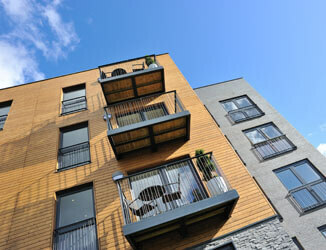 Will the Government be pursuing the Voluntary Right to Buy for housing associations? If so, how will this be funded and implemented? Extending the right to buy to eligible residents of RPs was a 2015 Conservative manifesto commitment. One pilot has already occurred and another is due shortly. That much is said in the Green Paper and, whilst it notes the importance of ensuring “that housing associations are able to replace the homes sold under the pilot”, how the discounts will be funded is not touched on. It is crucial that RPs are able to replace properties sold by being refunded the discount on such properties – this was a cornerstone of the National Housing Federation’s voluntary right to buy offer. The Government’s original proposal, which was never popular, was that such discounts would be funded by requiring local authorities to sell their vacant higher value properties. Elsewhere in the Green Paper, however, it is confirmed that this policy will not be brought into effect and the relevant sections of the Housing and Planning Act 2016 will be repealed “when Parliamentary time allows”. But with no replacement funding mechanism for the Voluntary Right to Buy discounts proposed, the future of this policy remains in doubt. Similarly, the Green Paper also launches a review of how right to buy receipts are used. Some of the proposed measures may be helpful, whilst others raise questions. In particular, it suggests reforming the “one-for-one” replacement of each home sold – another cornerstone of the Voluntary Right to Buy – with “a broader measurement”. Whilst the review focuses on the statutory right to buy and so will primarily affect local authorities, it is not clear whether any outcomes of the review would also apply to the Voluntary Right to Buy. This needs to be clarified. 4. How will the Government boost supply in a meaningful and long-lasting way? The Green Paper repeatedly states that the Government understands the importance of social housing and that it intends to support the building of new housing across all tenures. One suggestion is that the Government may bring back the Affordable Housing Guarantee Scheme, “particularly for smaller and medium-sized providers who are less well placed than the larger associations to access the capital markets in their own right”. There is otherwise limited detail of the support to be provided to RPs. The paper does state that RPs will be supported to build by “providing funding certainty through strategic partnerships”, the expansion and lengthening of which the Government “will actively investigate”. But details of such funding commitments are scant – in particular, the amount, type and length of funding – and questions clearly remain. 5. How will shared ownership products, and their fundability, be affected? The Green Paper states the Government’s appreciation of the importance of social rented homes, but it also focuses on promoting home ownership. RPs are called upon to “encourage innovative models that help tenants that are struggling to raise deposits”. Shared ownership is clearly favoured, and the Government asks how it can “best support providers to develop new shared ownership products that enable people to build up more equity [“staircase”] in their homes”. The paper then mentions shared ownership products that permit tenants to staircase in increments of 1% a year following initial acquisition – far lower than the typical staircasing minimum of 10%. This is an interesting proposal, which some RPs are already trialling, however its application and administration would need to be carefully considered and appropriate advice and support provided for tenants. How such products would work in a secured funding arrangement will also require consideration – if staircasings are far smaller and more frequent, then the corresponding security provisions would need to be adjusted accordingly.